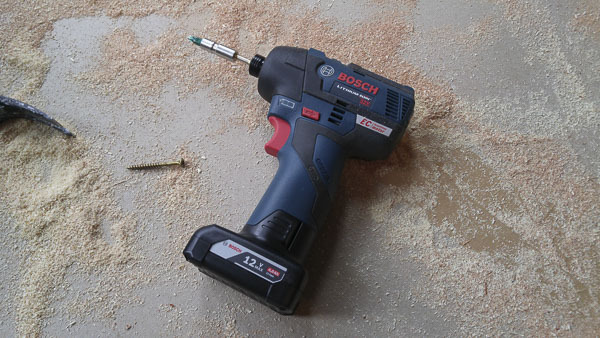 The new Bosch Bosch PS42 12 volt impact driver has some kick. Brushless motors have made 12 volt drill drivers and impacts much more powerful and efficient. To illustrate this let’s talk about what I use on the jobsite. My typical setup is a 12 volt brushless impact driver and drill along with 18 volt saws. 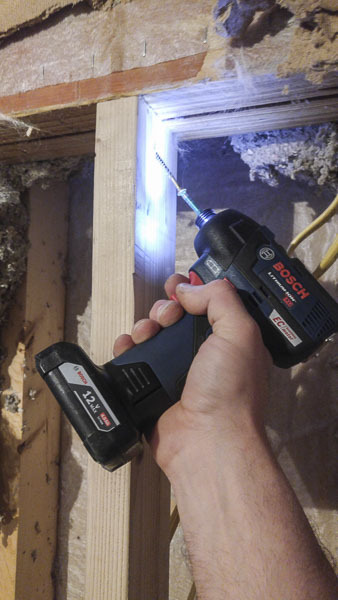 For most of the work I do as a remodeler, the lighter weight and compact size of a 12 volt tool is better than the improved performance of an 18 volt tool. Long story short 18 volt for framing, concrete, and drilling one-inch or larger holes in wood and 12 volt for everything else. To this end I am pretty excited about the continued release of excellent 12 volt tools by manufacturers. 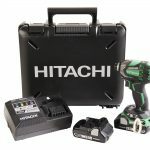 The new Bosch Bosch PS42 12 volt impact is a great example of this innovation. I was given a bare tool, charger, two compact and two large capacity batteries to test. The large capacity batteries allow the tool to stand upright which is handy when space is limited. I used the Bosch PS42 for a few weeks while doing some framing, installing a stove, cabinets, framing repairs, drywall repair etc… a little of everything. This allowed me to use it for driving everything from 3” general purpose framing screws to 2” by ¼” concrete screws to #6 by ⅝” cabinet hinge screws. This tool performed very well with all of these tasks. Runtime was excellent and I could easily work all day on a single fat pack battery and could sometimes get away with a compact battery. 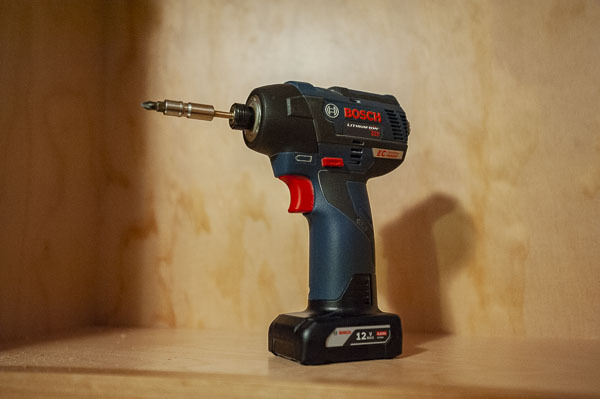 Compared to some other 12 volt tools I’ve used the Bosch hits a little slower but it hits hard and will drive some pretty long and pretty hefty fasteners. The ONLY issue I had with this tool is that sometimes when switching rapidly between driving modes (forward/locked/reverse) the trigger switch won’t respond as quick as I’d like to see. But it always comes back pretty quick so it is a minor nuisance. wo inset buttons on the top of the tool switch speeds and turn the LED light on and off (in the on mode it turns on whenever the trigger is depressed when off it just stays off). The light switch is a nice touch. I for one have temporarily blinded myself with some bright LEDs in tight quarters so I like the option to turn the LEDs off. The belt hook installs easily by removing a plastic plate on the back of the tool (no mention of this in the instructions but there are videos online). The two screws mount in threaded metal inserts on the back of the tool. I really like this belt hook, it is solid, and easy to hook on pants pocket or belt and the tool balances on it nicely. 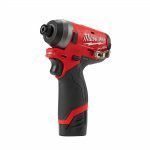 This is a great little impact driver that rivals anything on the market. 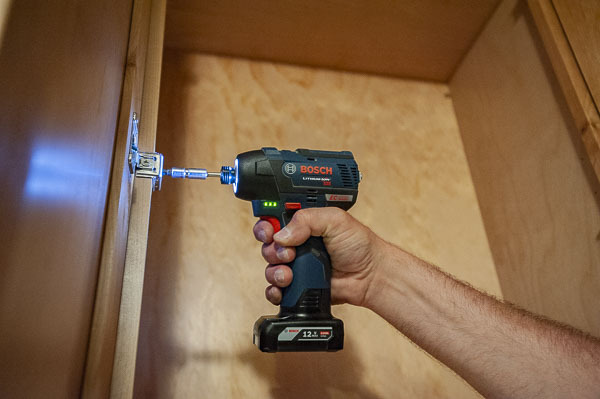 Between this and their new FlexiClick drill driver I think Bosch is very much worth a look in the 12 volt class.